Top Ten Tuesday is a weekly linkup of book bloggers hosted by The Broke and The Bookish! This week's topic is meeting authors. I've actually only ever met one of my favorite authors...Jeffrey Eugenides came to the University of Michigan campus when I was an undergrad to speak, and I came away with a signed copy of my favorite book to show for it. 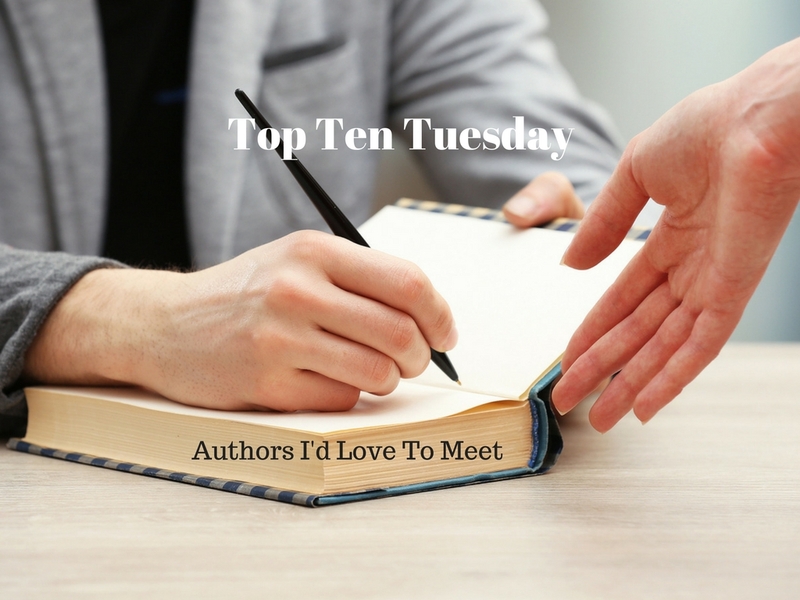 There are, of course, plenty of other authors I'd love to meet, and here are ten of them! Charlaine Harris: I loved the Southern Vampire Mysteries, and I've heard her other works are just as delightful. 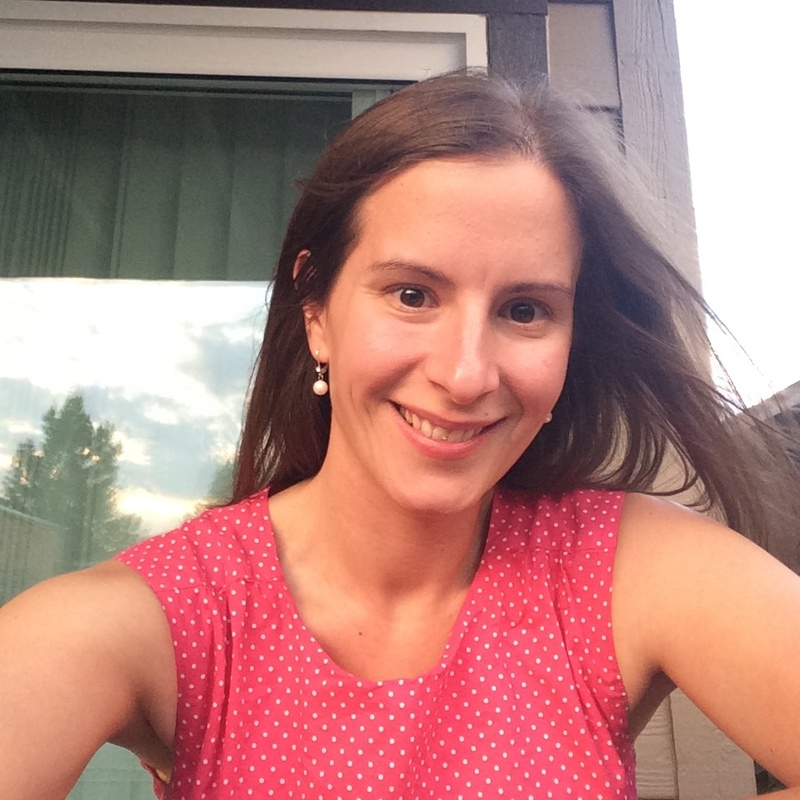 She seems so unpretentious and sweet and I'd love the chance to say hi! Alison Weir: Once I read my first one of her amazing history books, I promptly went out and acquired a copy of pretty much everything else she's ever written. She ran a school for kids with learning disabilities before she was able to be a full-time writer, which I think is pretty awesome. Stephen King: I think I've only read one of his novels (The Shining for sure, and I can't remember if I read Carrie at some point? ), but from his Twitter and the column he used to do (still does? Is it in EW? I can't remember), he seems fantastic. He did actually come to Reno to do a signing last year...but it was my wedding day, so I was kinda busy. Chimamanda Ngozi Adichie: Americanah was completely amazing, and so is her TED talk, and I just love her. John U Bacon: If I'd planned my schedule better at Michigan, I could have taken one of his classes, but I've read all of his books and I read his blog and he's smart and funny and insightful and loves Ann Arbor and that's a pretty great combo. Nick Hornby: His protagonists are usually overgrown man-children, which, snore, but he's such a good writer that I eat it up with a spoon anyways. He's so witty with words, I'd love the chance to actually hear him talk. Kazuo Ishiguro: I love his delicate, sensitive touch with prose and characters and the chance to listen to him talk about how he does it would be amazing. George R. R. Martin: I love the Song of Ice and Fire series so much (and I've heard incredible things about the Dunk and Egg books, which I want to read soon!) and his blog is always interesting, and he seems like the type to appreciate people nerding out over his work, right? Tamora Pierce: As much as I love The Hunger Games, I get annoyed when people make it out like Katniss was the first badass female protagonist in YA. Those of us who grew up with Alanna the Lioness and Daine and her wild magic know better. She's the kind of author whose books I want to share with my own children. J.K. Rowling: She's a brilliant writer and such a bold social media presence. Getting the chance to tell her how much Harry Potter meant to me in person? I'd consider myself very lucky indeed. Jeffrey Eugenides, Chimamanda Ngozi Adichie, and Kazuo Ishiguro would all be great to meet! I just watched Adichie's "single story" TED talk again recently. And J.K. Rowling was probably on most people's list — she was on mine! Not only did she create Harry Potter, she's such a badass on Twitter...even if I didn't love Hogwarts I think I'd want to meet her. Great list! Alison Weir and Chimamanda Ngozi Adichie made my list this week, too. =) I haven't read any of Charlaine Harris's work, but I saw an interview with her once and I agree that she seems lovely! She just seems so warm and approachable and I really want to read some of her other work once I work my way through my daunting TBR. Alison Weir is someone I've just started reading in the past year and now I'm totally obsessed! The Wild Magic series was always my favorite, and I heard recently she's going to write some books about Numair's early years so I am totally pumped!